Everything Danica Patrick does is Pretty Intense. A top athlete in her field, not to mention a fan favorite and the first woman to rule in her male-dominated sport, Danica approaches every aspect of life with the utmost intensity. Now, she shows you how you can apply her daily principles and transform your life for the better--and have fun while doing it. Danica's 90-day high-intensity workout, protein-rich, paleo-inspired eating plan, and mental-conditioning program will get you leaner, stronger, and healthier than you've ever been before. Her accessible workouts hit the holy trinity of fitness: strength, endurance, and flexibility. Accompanied by eating guidelines and 50 recipes for all-day energy, her program will also help you cultivate a mindset for limitless success. You will learn to aim your sights high, confront challenges and setbacks with confidence, and cross the finish line every time. 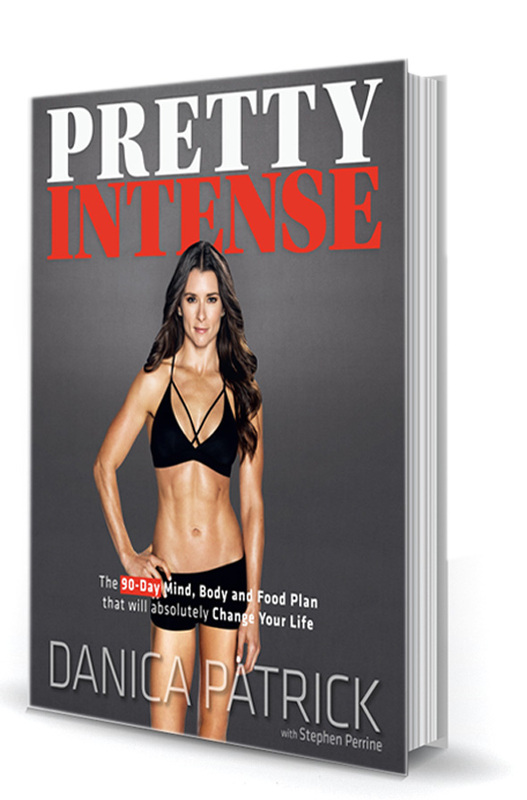 Whether your goal is a stronger core, better skills in the kitchen, or a promotion at work, Danica's Pretty Intense plan will help you reach your highest potential.